Ich heiße Hend und bin acht Jahre alt. Ich würde gerne wissen, was ist Dein Lieblingsessen v.a. Obst? My name is Hend and I am 8 years old. I would like to know what is your favourite food, especially fruit? I am Hanna, I am 9 years old. My favourite food is “Kaiserschmarrn”. That is like pancakes. But the pastry is thicker. My name is Cedric and I am 8 years old. My favourite food is rice pudding. My favourite fruit are apples. Ist es in Deinem Dorf warm oder heiß? Is it warm or hot in your village? Hello, I am Severin and 8 years old. In my village it is warm and sometimes hot. During the winter it is cold and the snow falls. Hello, I am Marina and I am 9 years old. In spring it is very warm and in summer it is very hot. In autumn it is pretty windy. And in winter it is freezing cold. Hello, I am Irina and 11 years old. I answer your question how the weather is where I live. At the moment it is summertime. It is not as warm as in Africa but it can get as hot as 35 °C. That is the perfect whether to eat ice cream and go swimming. After the summer there is autumn and it gets a bit colder. Then comes winter. In most winters it is so cold that even snow falls. We can have snowball fights and build snowmen. After the cold winter, spring comes again. Finally around mid-March. It gets warm and everything starts to bloom. Fortunately it is still summer here and we can still enjoy the nice warm period. I hope I have answered your question well. Goshime, 12 Jahre, 5. Klasse, Äthiopien/ Addis Abeba: Wie viele Einwohner hat Deutschland? Wieviele WM’s hat Deutschland gewonnen? How many inhabitants does Germany have? How many World Championships has Germany won? Hello, I am Alya and I am 9 and a half years old. The whole of Germany has 80.3 million inhabitants. The German national football team has won a world championship three times already. 1954, 1974, and 1990. Hello, my name is Sandra. I am 11 years old and from Ingolstadt. Germany has 82 million inhabitants. Ingolstadt has 130,000 inhabitants and Etting has 4.600 inhabitants. Germany has already won three world championships. That was in 1954, 1974, and 1990. Ich würde Dir gerne eine Frage stellen: Lernst du in der Schule Deutsch und Englisch oder auch andere Sprachen? I would like to ask you a question: Do you learn German and English at school or also other languages? Hello, my name is Lisa. I am in fifth grade now and learn English. In sixth grade French or Latin are added. Later I can choose whether I would like to learn Spanish as well. Video Addis 03 Meron to Luis, Deisenhofen: Meanings of names? Meron, 11 Jahre, 5. Klasse, Äthiopien/ Addis Abeba: Frage an Luis, Deisenhofen: Was sind die Bedeutungen der Namen, die Du mir aufgezählt hast? Meron, 11 years old, fifth grade: Question to Luis from Deisenhofen: What are the meanings of the names that you have mentioned? Hello, my name is Luis. I am 9 years old. Typical names here have meanings like Charlotte – free man, Eva – giver of live, Pauline – the small one, Kilian – the church person, Luis – famous/loud. Deribe, 11 Jahre, 4. Klasse, Äthiopien/ Addis Abeba: Habt ihr Karneval in Deutschland? Deribe, 11, 4th grade, Ethiopia / Addis Abeba: Do you have carnival in Germany? I am Mischa. I am 9 years old. Yes, we celebrate carnival but we call it „Fasching“ instead of „carnival“. The boys dress up as cowboy or pirate and the girls dress as princess or fairy. There are always a lot of children together and we dance to funny music and play games. I am Natalie. I am 9 years old and we also have carnival here. It is called “Fasching”. On “Fasching” we masquerade as somebody else and play a few games. For example an eating contest or a contest about the best costume. Hello, my name is Shalin. I am 11 years old and come from Germany. Yes, we have carnival in Germany. Parade floats with colourful decoration and different themes drive through the streets and throw sweets towards the people that watch. We also have a carnival ball for the lower grades. It is for fifth, sixth, and seventh grade. They meet in the afternoon, have a lot of fun and play a lot of games. We have a different theme every year. This year the theme was “Harry Potter”. Carnival begins on November 11 at 11:11 am and ends on Ash Wednesday, which has been on March 5th this year. Video Addis 05 Hawi 1: Celebrities? Hawi, 12 Jahre, 5. Klasse, Äthiopien/Addis Abeba: Wer sind die Stars und Sternchen aus Deutschland, die in der ganzen Welt bekannt sind? Oder weltweit bekannte Filme und Musik? Kannst Du mir ein paar nennen? Hawi, 12, 5th grade, Ethiopia/Addis Abeba: Which stars and starlets from Germany are know all over the world? Or are there movies or music that is known worldwide? Can you name a few? Hello, I am Alina. I am 8 years old and now I am going to tell you something about stars, movies and music. I have noted a few starts. Actually quite a few. I name a few: Lady Gaga, George Clooney, Madonna, Justin Bieber, Katie Perry, Johnny Depp, Baby Beyoncé, Taylor Swift, Adele, Brad Pitt, Cro, Sido, Michael Jackson, Heidi Klum, Thomas Heie, Wolfgang Joop and Matteo. They are all stars. Most of them sing and most of them are famous because the have invented something. Like Heidi Klum who has inveted “Topmodel” [TV-Show]. Wolfgang Joop is a famous fashion designer. There are also many movies. I name one, that is “Spaceship Surprise”. On the “Spaceship Surprise” there are three humans that want to travel to a kingdom by taxi to announce something. But then the end up somewhere different. Then the received the mission to defeat the evil. Hello, my name is Pascal. I am 11 years old and you wanted to know who is a star in Germany and what movies are famous here. Many young people watch either “Lord of the Rings” or “Harry Potter”. These are exciting fantasy movies. Thomas Müller or Manuel Neuer are very famous football players in Germany. Hawi, 12 Jahre, 5. Klasse, Äthiopien/Addis Abeba: Deutschland war in der Vergangenheit in zwei geteilt. Was waren die Gründe dafür, warum war das so? Hawi, 12, 5th grade, Ethiopia/Addis Abeba: In the past Germany was split in two parts. What was the reason for that? Hello, I am Noel and 11 years old. I would like to answer your question: There were four countries: France, United States of America, the United Kingdom of Britain and Russia. Russia occupied the eastern part of Germany. The other three countries occupied the western part of Germany. A wall was built to keep the people from fleeing from the east because it not as good in the eastern part as it was in the west. Adissu, 8 Jahre, 2. Klasse, Äthiopien/Addis Abeba: Wie ist bei Dir der Zugang zur Bildung und zur Schule? Bildung ist für alle Kinder das Wichtigste. Man muss sehr gut in der Schule sein – gerade weil Bildung für uns sehr wichtig ist. 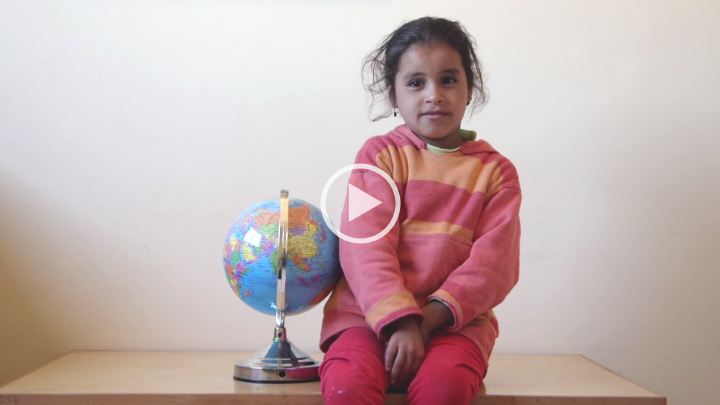 Adissu, 8, 2nd grade, Ethiopia/Addis Abeba: How is your access to education and school? Education is the most important thing. You have to be very good at school – especially because it is so important for us. Hello, my name is Lisa, I am 11 years old and from Etting. Currently I visit a grammar school because had very good grades in primary school. In grammar school we write have our final examinations after 8 years. With this you can later go to university. We also have type of secondary schools where you write final exams after 6 years. Video Addis 08 Getu: First SOS Children’s Village in Germany? Getu, 12 Jahre, 4. Klasse, Äthiopien/Addis Abeba: Wann und wo wurde das erste SOS Dorf in Deutschland gebaut? Getu, 12, 4th grade, Ethiopia/Addis Abeba: When and were was the first SOS Children’s village built in Germany? Hello, I am Torben. I am 11 years old and answer your question. There are 15 children’s villages in Germany. The first one was founded in 1956 in Diessen on Lake Ammer. Solomon, 10 Jahre, Kenia/Meru: Hallo ich bin Solomon, ich bin zehn und wohne im Haus 10 hier im SOS Dorf in Meru. Wenn es bei uns in Kenia 10 Uhr morgens ist, wie spät ist es dann bei Dir? Solomon, 10, Kenia/Meru: Hello, I am Solomon. I live in House 10 here in the SOS Village in Meru. When it is 10 o’clock here in Kenia, what time is it where you live? Hello, I am Berkai from class 3g and I am 8 years old. When it is 10 o’clock in Kenya, it is 9 o’clock here in Germany. So you are one hour ahead. Hello Solomon! My name is Korbinian. As you probably know already, I am from Germany. You wanted to know what time it is here when it is 10 o’clock where you live. This depends on the time of the year. During summer we are one hour behind you. This means that it is 9 o’clock when it is 10 o’clock for you. During the winter the clock is set one hour back. Then we are two hours behind you so it is 8 o’clock. Joseph, 10 Jahre, Kenia/Meru:Mein Name ist Joseph, ich bin in der 5. Klasse und zehn Jahre alt. Ich wohne im SOS Dorf in Meru. Ich möchte gerne wissen, ob ihr – so wie wir – Freitag Abends auch ein Treffen habt, bei dem ihr gemeinsam aus der Bibel lest, singt und tanzt? Joseph, 10, Kenya/Meru: My name is Joseph, I am in fifth grade an 10 years old I live in the SOS village in Meru. I would like to know whether you – like we – have a meeting on Friday evenings to read the bible together, sing and dance? Hello, I am Andrea-Sophia and I answer your question whether we read the bible on Fridays. Where we live, Sunday is the day of rest. This is when Christians go to church together. Muslims have something similar on Friday, but with a Friday prayer. Catholics have something like this about every two weeks. Then children read the bible together and learn something about the bible. Many greetings from Germany! My name is Marlon, 8 years old. My answer is: No, we do not have something like this in Germany. We have religious education if are Christians or muslims. I am Laurin. I am 9 years old. We meet on Friday in church and there we read from the bible and sing a few times. It lasts about thirty minutes to one hour. I do not like it so much because you always have to sing and I hate singing. Edna, 10 Jahre, 4.Klasse , Kenia/Meru: Mein Name ist Edna. Ich besuche die 4. Klasse, Ich bin zehneinhalb Jahre alt und ich besuche die Principal Academy. Ich will wissen, welche Spiele ihr in Deutschland spielt? Edna, 10, 4th grade, Kenya/Meru: My name is Edna. I am in fourth grade, am ten and a half years old and i go to the Principal Academy. Which games do German children play? I am Hanna. I am 9 years old. In Germany children play tag, hide-and-seek or “Free King” [“Königsfrei”, a variation of hide-and-seek where the children run to a defined spot after being found]. With “tag” one is the catcher and the others have to run away from him. If somebody is caught, he is the next catcher. Hello my name is Kevin. I am 9 years old. We play tag or hide and seek, football or Ten-Twenty. Ten-Twenty works like this: One is the „counter“ and the other children hide themselves somewhere. The counter says „Ten-Twenty Kevin go“. Those who hide say „Ten-Twenty Kevin free“. Hello, my name is Raffael and I am 11 years old. I explain you how we play “Hide and Seek” in Germany. It is a game where one of the children counts slowly up to twenty and the others hide somewhere. When the child has finished counting it as to search for the others. The one that is found first is the next one who does the counting. I hope you like my explanation. Many Greetings from Germany! Humphrey, 7 Jahre, Kenia/Meru: Hallo ich bin Humphrey und ich bin 7 Jahre alt und wohne in Meru. Ich möchte wissen wo die Kinder in Deutschland eigentlich spielen? Humphrey, 7, Kenya/Meru: Hello, I am Humphrey and 7 years old and live in Meru. I would like to know where children in Germany play? Hello, my name is Carla and I am 9 years old. When the weather is nice we play outside. Girls often meet at public play grounds. On playgrounds you can find a swing, a slide, a sand pit, and a climbing frame. Boys go to a lawn an play football. I am Giannis and 8 years old. When it rains I play in my room. When it does not rain I go to the playground with my friend and then we play. Sometimes I slide and sometimes I don’t. And then I play football and then I go home. Hello, my name is Johanna. I am 9 years old. In Germany you play on public playgrounds and in your garden. Video Meru 06 Isaac: What do you do? Isaac, 8 Jahre, Kenia/Meru: Ich heiße Isaac, bin acht Jahre alt und komme aus Meru. Ich würde dich gerne fragen: Was machst Du so in Deutschland? Isaac, 8, Kenya/Meru: My name is Isaac, I am 8 years old and come from Meru. I would like to ask you: What do you do in Germany? Hello, I am Yemin, 9 years old and in class 3g. After school I go outside and play with my friends. Afterwards I read a book in my room. And then I go downstairs and watch TV. In Turkey I play with my cousin in Istanbul outside. After coming home from school I eat something. Then I do my homework. Then I like to play football and during the holidays I like to swim and watch a Sunday movie in the cinema. For example “Maleficient”, the evil fairy that turns into a good fairy in the end. Rechael, 10 Jahre, Kenia/Meru: Mein Name ist Rechael, ich bin zehneinhalb Jahre alt. Ich wohne im SOS Dorf in Meru, Kenia. Was isst Du in Deutschland? Rechael, 10, Kenya/Meru: My name is Rechael, I am ten and a half years old. I live in the SOS village in Meru, Kenya. What food do you have in Germany? Hello, my name is Helin and I am 9 years old. I am in third grade. Here in Munich I heat a lot of fruit, vegetables, salad and meat and rice. And a lot of sweets. We are doing fine here. Hello! My name is Eva and I am 9 years old. Here in Germany I like to eat pancakes, Schnitzel with chips, chicken, sausages, dumpling and prezel. I do not like spinach, fish and pork. I like to eat spaghetti. Sometimes also pancakes or a hot dog. Video Meru 08 Profus: Biggest mountain? Profus, 11, 6th grade, Kenya/Meru: Hello, I am Profus and eleven years old and in 6th grade. Which is the biggest mountain in Germany? I am Jonas and 8 years old. The highest mountain in Germany is the “Zugspitze”. It is about 3.000 metres high. My name is Nora and I am 9 years old. I live in Munich. The highest mountain in Germany is called „Zugspitze“. It is almost 3.000 metres high. Your mountains are much higher. Video Meru 09 Jane: Life in Germany? Jane, 9 Jahre, Kenia/Meru: Hallo ich bin Jane, ich bin 9 Jahre alt und wohne im Haus 11 im SOS Dorf in Meru. Wie lebst Du in Deutschland? Jane, 9, Kenya/Meru: Hello, I am Jane, 9 years old and live in house 11 in the SOS village in Meru. How do you live in Germany? I am Sophia. I am 9 years old. I live in Ingolstadt in Unterbrunnenreuth in a semi-detached house with my sisters and my parents. I often play in my garden with my cousins. I have a good life in Germany. Brenda, 9 Jahre, 3.Klasse, Kenia/Meru: Hallo ich bin Brenda. Bin 9 Jahre alt und wohne im SOS Dorf Meru. Was sind die bekanntesten und beliebtesten Essen in Deutschland? Brenda, 9, 3rd grade, Kenya/Meru: Hello, I am Brenda. I am 9 years old and live in the SOS village in Meru. What are the most famous and popular dishes in Germany? Hello, I am called Aaliyah and I am 9 years old. Here in Germany we eat noodles very often. In Bavaria we eat Brezn very often. Personally I like escalope (“Schnitzel”) with chips very much. Karen, 17 Jahre, Tansania/Arusha: Ich möchte gerne folgendes wissen: Hier in Arusha in Tansania haben viele Kinder Schwierigkeiten mit Mathematik, sie finden es ein schweres Fach. Wie ist es bei Dir/bei euch? Karen, 17, Tanzania/Arusha: I have one question to the German kids: Here in Arusha in Tanzania many kids find mathematics a difficult subject. Do they also find mathematics a bit difficult like us here? Hello, my name is Natalie, I am 11 years old and I answer your question about maths. Maths is a main subject for us and so it is very important. We have maths five times per week. For me maths is sometimes easy but sometimes also very difficult. For example geometry I find very difficult. Some children from my class find maths particularly difficult and children from my class find maths particularly easy. Many greetings from Germany! Hello, my name is Anna and I am 9 years old. We learn maths and other subjects at school. Many others also have difficulties with maths. So do I. But we have tools that help us to solve the exercises. For example a slide rule or an arithmetic book and many others. Isaack, 16 Jahre, Tansania/Arusha: Hallo ich bin Isaack, ich bin 16 Jahre alt. Am 13. April werde ich 17. Ich lebe im SOS Dorf in Arusha in Tansania. Was ich gerne von den deutschen Kindern wissen möchte ist: Erzähl mir was über Deine Kultur. Wie ist sie? Isaack, 16 Jahre, Tansania/Arusha: My name is Isaack, I am 16 years old. I will turn 17 on April 13. I live in the SOS Childrens’s Village in Arusha in Tanzania. I want to know about your culture. How is it? I am Christoph. I am 10 years old. We have a “colourful evening”. That is when the people from the village meet. The children perform sketches, songs and jokes. The school also contributes something. I have participated in a stage play. I was the electrician and wanted to set up the telephone. The service technician pretended the would make a phone call but this was impossible because the phone line was not set up. Usually two women organise this and it is a lot of fun. Hello, I am Noel and 11 years old. I want to answer your question: We have a famous poet called Goethe. And for example also famous musicians: Ludwig van Beethoven and Mozart. Glory, 16 Jahre, Tansania/Arusha: Was machst Du eigentlich wenn Du frei hast? Wenn Du z.B. Ferien hast oder nach der Schule? Glory, 16, Tanzania/Arusha: What do you do in your holidays or when school is closed? I am Fabio. I am 9 years old. After school I do my homework and eat lunch. Then I may go outside and play. During holidays I play tablet with my bother and sometimes on my own. A tablet is a device to play games. My favourite game is “Minecraft”. In this game you build houses and you are also allowed to build anything else. Bonface, 9 Jahre, Kenia/Meru: Hallo ich bin Bonface, ich bin 9 Jahre alt und komme aus Meru. Ich spiele gerne mit Kindern. Wie leben die Kinder in Deutschland? Bonface, 9, Kenya/Meru: Hello, I am Bonface, I am 9 years old and come from Meru. I like to play with other children. How do children live in Germany? Hello, I am Irina and I am 11 years old. I answer the question, how we children live here in Germany. Actually it is different for every child but usually a week for us ist like this: We go to school from Monday to Friday in the morning. Afterwards, in the afternoon, it is different. Many meet with friends. Others have hobbies which they are active in or they do sports. On the weekend we don’t have to go to school. That is time off. We can do what we want. Some make day trips, others do something with their parents. It is simply different how this works for every child in Germany. But his quite an average course for every child. Robson, 15 Jahre, Tansania/Arusha: Wie war das Leben damals, als Hitler an der Macht gewesen ist? Haben dir deine Eltern, deine Großeltern etwas von der Zeit erzählt? Wann wurde Hitler geboren und wann und wo und wann ist er eigentlich gestorben? Robson, 15, Tanzania/Arusha: How was life when Hitler was in power? Have your parents and grandparents told you a little story about it? When was Hitler born and where and when did he die? I am Michelle, 11 years old and live in Ingolstadt. Adolf Hitler, the former dictator of the German Empire, was born on April 20, 1889 in the town Braunau in Austria. He died on April 30, 1945 in Berlin. So he lived to the age of 56. Almost everything that Hitler did was incredibly bad. For example one thing was his hate and racism against Jews and disabled people. So these people had to live in fear of their lives. Another bad thing also was for example his attack on Poland, with which he started World War 2. In the course of the war the Nazis and their helpers committed mass crimes and genocide by order of their leader Adolf Hitler. They killed about 500,000 mentally and physically disabled people and more than 6 million jews. In addition, Hitler was appointed to be Reich Chancellor on June 30, 1933. Within a few months he was able to remove pluralistic democracy, federalism and the constitutional state by using prohibition and emergency decrees. Political opponents were brought to concentration camps, tortured and then killed. Imran, 13 Jahre, Tansania/Arusha: Wer ist der Präsident der Deutschen? 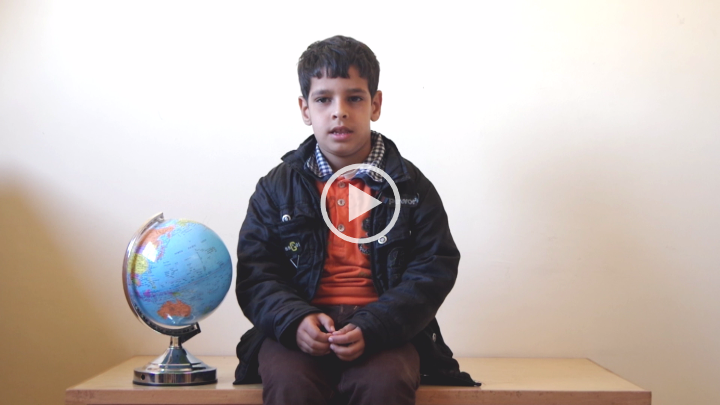 Imran, 13, Tanzania/Arusha: Who is the President of the Germans? Hello Imran, my name is Dominik and I answer your question about the name of our Federal Chancellor. Her name is Angela Merkel and she is the Chancellor here in Germany since 2005. Since 2000 she is leader of the CDU and administers the whole thing. Neema, 15 Jahre, Tansania/Arusha: Wie verbringst du deine Ferien wenn die Schule geschlossen ist. Was machst du nach der Schule? Neema, 15, Tanzania/Arusha: How do you spend your holiday once the school is closed? What do you do when school classes are over? My name is Antonia and I am 9 years old. After school I first do my homework. On some days I have music lessons or physical education. Otherwise I play with friends. When the weather is good we play outside or go to the public swimming pool. When the weather is bad I play inside. My favourites are Lego and Playmobil. When school is closed I make holidays with my whole family. Sometimes we go abroad, for example to Italy, Greece, Spain or Austria. Hadija, 17 Jahre, Tansania/Arusha: Hallo, ich bin Hadija, ich wohne im SOS Kinderdorf Arusha, ich bin Tansanierin und 17 Jahre alt. Ich möchte gerne wissen, wer ist bei euch in Deutschland Präsident? Hadija, 17, Tansania/Arusha: Hello, I am Hadija, ich live in SOS Children’s village Arusha. I am Tanzanian and 17 years old. What is your president’s name? Hello Upendo! My name is Dominik and I answer your question, who is our prime minister. Here this position is called Federal President and his name is Joachim Gauck. He used to be a protestant Lutheran pastor and church official. He administers everything in politics. Upendo, 14 Jahre, Tansania/Arusha: Upendo, 14 Jahre, Tansania/Arusha: Wie heißt euer Premierminister? Upendo, 14, Tanzania/Arusha: What is the name of the prime minister of your country? Hello Upendo! My name is Dominik and I answer your question, who is our prime minister. Here this job is called Federal President and his name is Joachim Gauck. He used to be a protestant Lutheran pastor and church official. He administers everything in politics. Wie geht’s den Kindern in Deutschland? Und was magst Du am liebsten? How are the children in Germany doing? What do you like most? Hello, I am Jonas. I am 8 years old. The children in Germany are very well but some of them also bad. My favourite games are “ludo”, chess or “nine men’s morris”. I like to play “ludo” because it is always exciting what’s next. Even when your are close to the goal the other can still win.